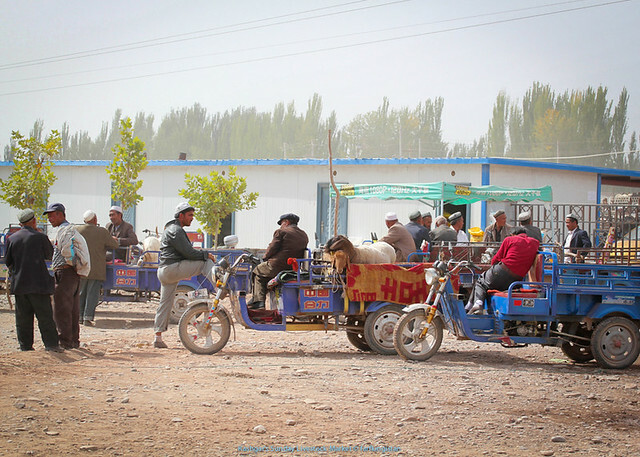 Animals usually travel to and from Kashgar’s Livestock Market on the backs of trucks, inside the trunks and back seats of cars, or packed inside trailers pulled either by a motor bike, horse or donkey. 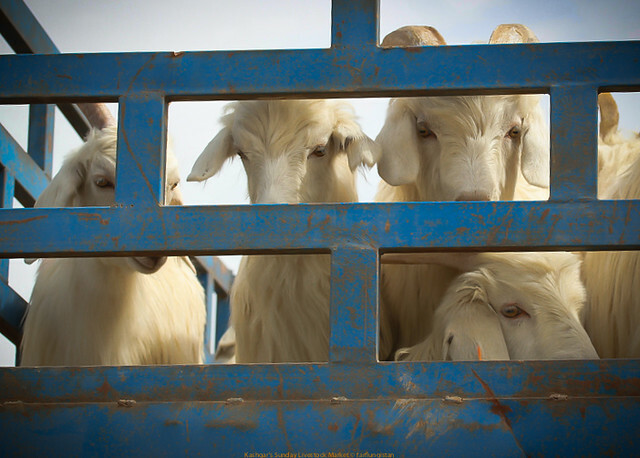 Sheep and lamb are usually tossed in and out like bails of hay, while agitated cows, camels, horses and donkeys get pulled and lifted into and out of the backs of trucks. 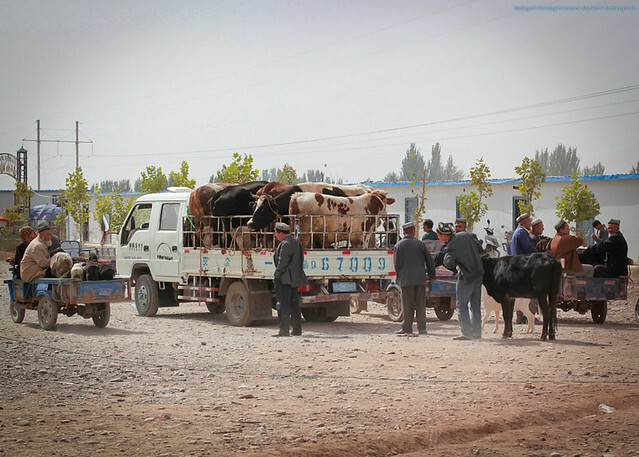 Visitors will find it hard not to marvel at a group of men collectively pushing a few stressed out cows up and on to a truck bed by using all means necessary. The best maneuver that afternoon was something that can only be described as the tail twister. Check out this video by stefhoffer on YouTube for a better look.